About Us | JOLLY JACKS JUMPING CASTLES! We provide affordable, accessible & easy kids entertainment supplies, including quality themed jumping castles, original movie pop corn machines, fairy floss machines, a variety of colourful lollies bar, as well as table & chair hire. All helping to make your special day full of fun, excitement & bounce. 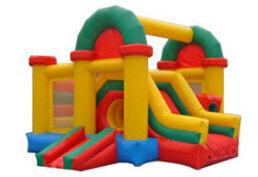 & kid's party hire supplies throughout Greater Melbourne & parts of country Victoria out of Wallan. Available for hire 7 DAYS a week with FREE delivery within a 50 km radius from Wallan, or FREE delivery to most suburbs in Melbourne Metro. Please visit our postcode generator or list in the delivery locations page. Always ensuring children safety & care is met so everyone can have fun. All our jumping castles are made from quality material, always tested, fully licensed & meet Australian safety regulations & standards.